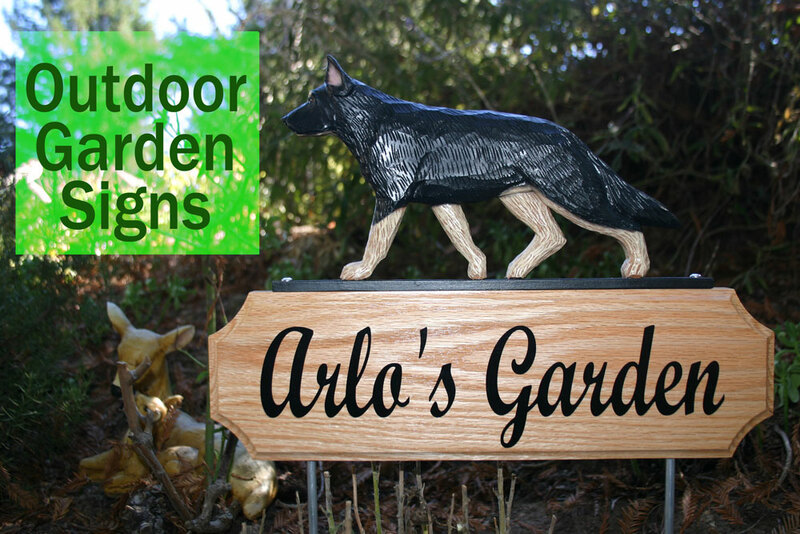 Our outdoor garden dog signs are so beautiful and they can be customized! They can be customized with your family’s last name or “welcome” and then placed in the front of your home or by a walkway. They can be customized with a clever saying, like “welcome, yo!” which is an actual custom request we’ve had. Or, they can be customized with your dog’s name. 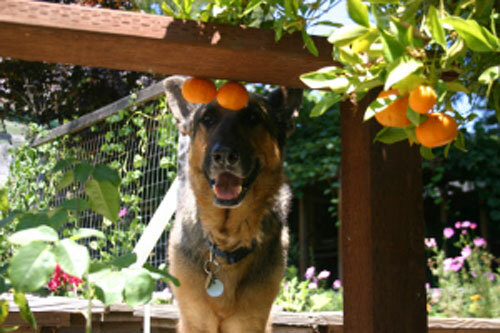 Read the story below about one of our customer’s handsome German Shepherd, named Arlo. He had a garden sign made in Arlo’s honor. Arlo was loved by everyone in the neighborhood. He was such a sweetheart; always wanting to be close to his human. He was a rescue pup found on the streets of Los Angeles. Unfortunately, Arlo crossed over the rainbow bridge and a little garden was set up in the neighborhood in his memory. The garden has become a place of peace and good memory of the beloved Arlo. Neighborhood children adored the beautiful German Shepherd and the garden. Arlo’s Garden, has become a tribute to one of the many kind souls that has walked this Earth. Rest in peace Arlo; no longer by our side, but forever in our hearts. Check back for a future blog post featuring even more photos of Arlo’s Garden! This beautiful custom made sign has added substance to , Arlo’s beautiful garden and helps express the very meaning of our love for our fur kids. His garden ( out front by the road) has become a Park for all to visit.. I even provided chairs. A bench will follow. Not a day goes by without passer byes commenting on the beauty. They stop and talk with me and admire all of the additions that I put there for people to admire and never forget my, Arlo. It was a pleasure to add a hand carved German Shepherd sign by Michael. My friends and neighbors just love it.